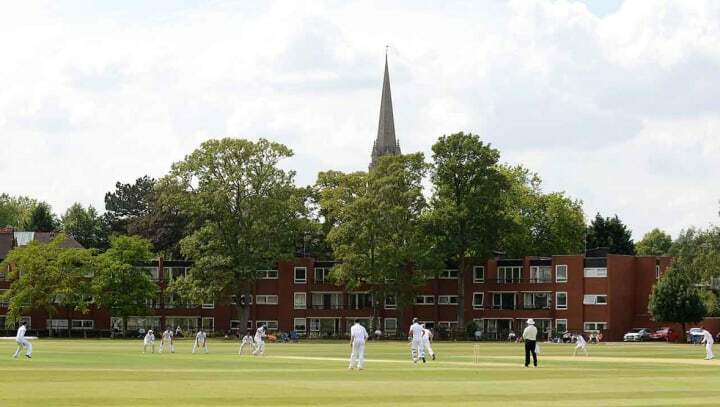 Nottinghamshire begin their first class season with a trip to the FP Fenner’s ground to face Cambridge MCCU. The match will be played over three days duration, between 5-7 April 2016. Chris Scott, the former Nottinghamshire wicketkeeper, is currently the Head Coach of Cambridge MCCU and he’ll be hoping for a stronger showing from his side after they went down by 523 runs against Essex last week. Nottinghamshire have met the students of Cambridge University on 45 previous occasions in first class cricket, winning on 17 occasions. The bulk of the other contests have been drawn, with 25 matches failing to reach a positive outcome, whilst two matches were won by the Light Blues, with a further meeting abandoned without a ball being bowled. At Fenner’s the spoils have been dominated by the professional county, with Nottinghamshire winning 11 of the 34 matches, with 21 draws and wins for the University in both 1960 and 1963. It is 21 years since Nottinghamshire last visited Fenner’s to face Cambridge University and the occasion enabled one of the county batsmen to pick up a prestigious piece of silverware. Skipper Tim Robinson also scored a hundred and was then able to declare on 413 for eight, after half centuries from Paul Johnson and Kevin Evans. Andy Pick and Andy Afford each took three wickets to roll the hosts for just 91, with Cairns and Jim Hindson sharing the other four wickets. South African-born Colin Banton made his first class debut in the match, one of only seven appearances for Notts, and he made an unbeaten 80 in the second innings, with Matt Dowman adding to the list of century-makers. Chasing an improbable 568 on the final day, the students fought gamely to reach 218 for six, with Pick snaring three more victims as the game ended in a draw. *(Cairns is one of only four Nottinghamshire batsmen to win the Walter Lawrence Trophy, joining the names of Garfield Sobers (1974), Paul Johnson (1993) and Mark Ealham (2006). Current Outlaw Dan Christian won the award in 2014 whilst with Middx). Nottinghamshire first played against Cambridge University in 1925. The sequence of fixtures has thrown up some extraordinary team and individual performances. 1926: Nottinghamshire’s fiery fast bowler Harold Larwood took a hat-trick to wrap up the students’ first innings for 106. Just two weeks before making his England Test debut, Larwood helped himself to figures of 8-6-2-4. 1932: Cambridge University were bowled out for just 34 in their first innings, with no batsman scoring above seven. Notts went on to win the match by an innings and 267 runs, their sixth-highest first class victory. 1959: Keith Miller was one of Australia’s finest all-round cricketers, scoring almost 3,000 runs and taking 170 wickets in 55 Tests. After winding down his career – and in his 40th year – he accepted an invitation to play a one-off game for Nottinghamshire at home to Cambridge University. Miller scored 62 in the first innings but, second time around, in front of 5,000 spectators he scored a blistering century, ending on 102 not out. The match also saw Carlton Forbes make his debut for the county, picking up two wickets including that of Henry Blofeld, who later earned a reputation as a well-respected broadcaster and cricket commentator. 1976: Two players who would enjoy long and successful careers on the Trent Bridge staff made their debuts in a home first-class friendly against Cambridge University. Seam bowler Kevin Cooper took four wickets in each of the students’ innings, whilst Bruce French enjoyed a competent match behind the stumps, taking three catches in the routine victory. 1984: Nottinghamshire fielded four debutants against Cambridge University at Trent Bridge. David Fraser-Darling took three wickets in the match and Kevin Evans bagged two. Batsman Mick Newell scored 76 on his first appearance for the county but there was less to celebrate for Steven Mee. Although the 19-year-old took match figures of 2-63, he failed to score a run and didn’t play another first-class match in his career. In the students’ second innings, Rob Andrew, later to play for England and the British Lions at rugby union, scored an unbeaten 101. Gamini Goonesena was born in Colombo, Ceylon (now Sri Lanka) in 1931. The leg break and googly bowler took 299 first class wickets for Nottinghamshire in 94 matches, with a best of seven for 63, although his career best figures came during his days at Cambridge when he took eight for 39 for the University against Free Foresters, at Fenner’s. A handful of other cricketers have represented both Nottinghamshire and Cambridge University; amongst them Mark Allbrook, Augustus Bateman, William Bury and Tinsley Lindley. Nottinghamshire have suffered five defeats to university sides, all away from home. They lost to Oxford University in 1959, 1963 and 1993 and to Cambridge University in 1960 and 1963. Brendan Taylor (7446) needs 54 runs to reach 7500 in first class cricket. Riki Wessels (3911) needs 89 runs to reach 4000 first class runs for Nottinghamshire. Steven Mullaney (3887) needs 113 runs to reach 4000 first class runs for Nottinghamshire. Samit Patel (245) needs 5 wickets to claim 250 in first class cricket. Will Gidman (198) needs 2 wickets to reach 200 in first class cricket. Steven Mullaney (49) needs one more wicket to reach 50 in first class cricket. Samit Patel (97) needs three more catches to claim 100 first class catches for Nottinghamshire.